Yes, it's true... My little girl is 4. Which makes me already start to think about Kindergarten next year!! Stop! Where does the time go? First off, I have to thank the Lord for all the help he gave me in planning this party and bringing it to fruition. I love celebrating the birth of my babies so much and their birthdays are really special to me. It just means a lot to me how the Lord brought it all together this week when I just wasn't sure how it was going to turn out. 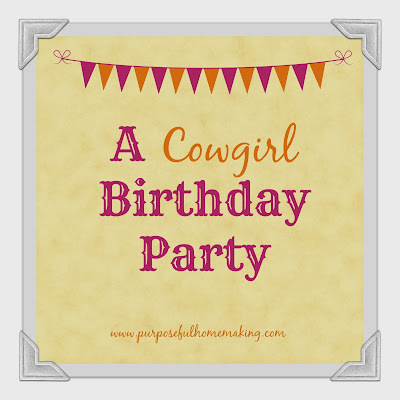 I was sick earlier this week and then my oldest got a sudden high fever out of no where two days before the party--therefore I've been praying that he would be well (and he is) and that no one else would get sick for the party--at the very least, not the birthday girl. Anyone else could stay in the house (sadly). Thankfully, everyone was healthy and able to enjoy the party. Thank you, Father! And, I was praying about the weather. We live in a small house and to have 30 extra people in it would be: um, tight. And probably stressful. God was gracious and the weather was beautiful and we were all able to party--outside. And then there was the cake. Making and using fondant was giving me fits and I was feeling so inadequate about decorating and was thinking WHY on earth do I do this??? (Because. I like to make the day special for the birthday child and that's one way I do). Anyways, after the two older kids stopped and prayed for me about decorating the cake, it all came together. You can see pictures below. It's by no means perfect (I'm not a cake decorator after all. 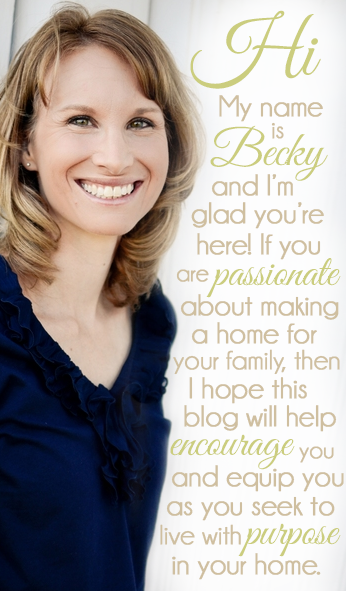 If you need one, I'd be happy to refer you to my friend Christi! 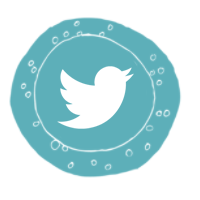 ), but it did the job and I was fairly happy with it. 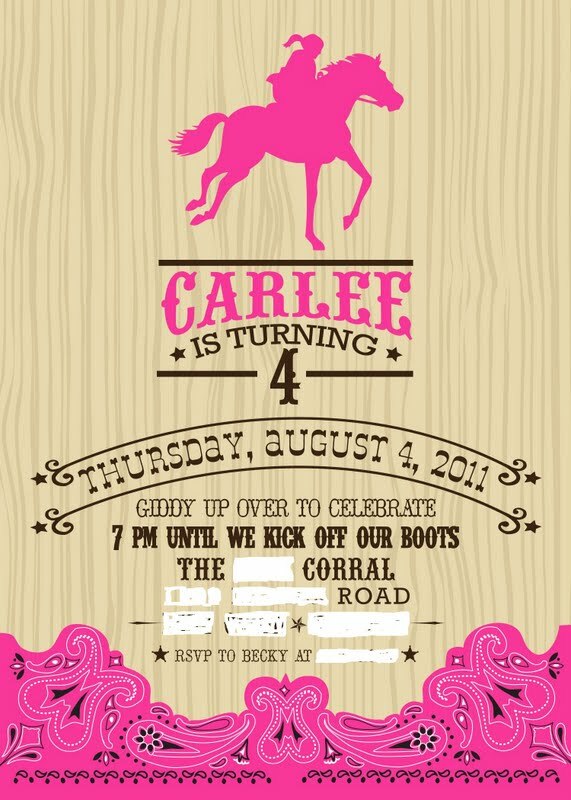 For Carlee's 4th birthday I planned a pink and brown cowgirl theme birthday inspired by Anders Ruff. 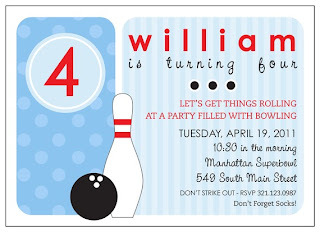 When I found this invitation I fell in love with it (although there were so many great invitations on the Anders Ruff site it was hard to pick!) This was the easiest invitation ever! 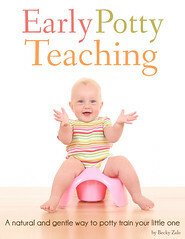 After selecting it from their site, Anders Ruff sent me the jpg via e-mail. 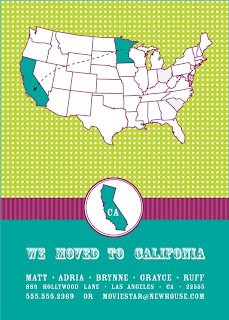 I chose to upload it to Walgreens for printing. 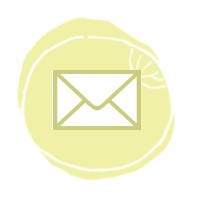 (To save money you can easily print what you need and e-mail the rest! Again, love the simplicity). 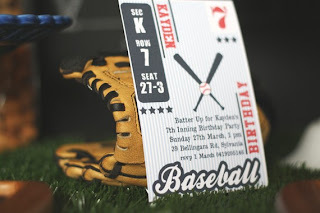 However, Anders Ruff does offer, for an extra charge, printing of the invitations. Most people prefer to print on their home printer (they include simple instructions for printing) or take the PDF file to an OfficeMax or Kinko's. These were THE easiest invitations **I've** ever done!!! For the plates I bought tin plates for the adults and pink paper plates and cups for the kids. (this was mostly due to cost so I saved the tin plates for the adults and had the kids eat off the paper plates. They were probably better off with the paper plates anyways. As you can see, for the adults, I utilized some pint-sized Ball glass jars and added a pink straw. The glasses were complete with name tags my friend made. I tied the tags on the jars with hemp. To add a nice touch to our evening party, I placed sand in the bottom of a couple of quart Ball jars and added a candle. You might know that for my son's recent lego party, my friend surprised me with a Happy Birthday Banner she made. 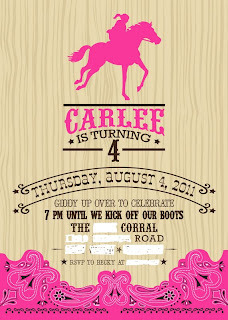 For Carlee's party, she and I worked on one together. 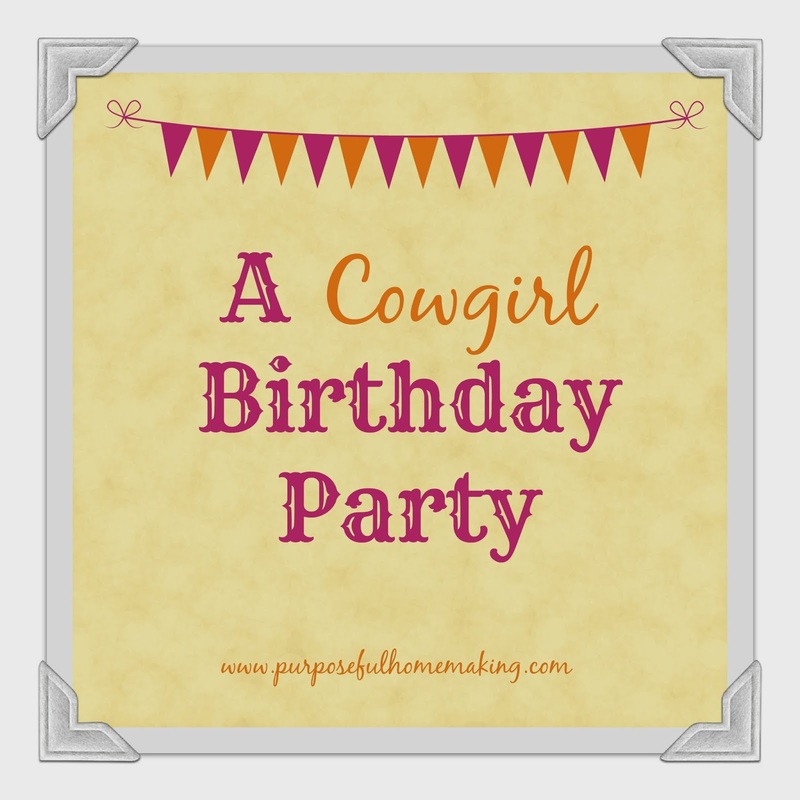 I think it turned out sooo cute---complete with a redheaded cowgirl and all. I proudly displayed it on the front of the food table. Speaking of food...Each food item had a "name card" and I divided the food and drinks into two separate categories (Feed Lot and Waterin' Hole). :) I kept the food very simple. We had Wagon Wheel Melon (watermelon), S'mores (s'more bars), hay (pretzels), fried taters (potato chips), Gold Rush Crackers (goldfish crackers) rootin' tootin' root beer and pink lemonade. For the party favors I used brown paper lunch bags with a tag for the child's name on the front. I printed these on cardstock. You can download the template here. In the favor bags I included some toy horses, blow-pops, sheriff's badges, gold coins and more for each child. (Notice I made the cowgirl a red head). :) It was secured with hemp. I will admit, I did spend quite a bit of time working on this party, but if you want to simplify yours, then see what all Anders Ruff offers for your party planning. 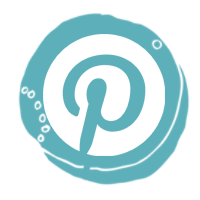 I would have loved to have utilized more of their great product! Anders Ruff has plenty of beautiful products to choose from. And, these girls know how to plan a party. Check out Maureen's son's recent lego birthday here. Amazing! 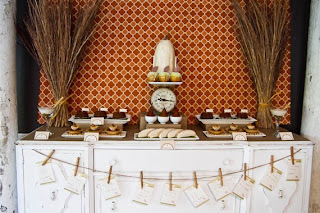 If you are planning an upcoming party though and need to simplify your planning, then you must check out Anders Ruff. 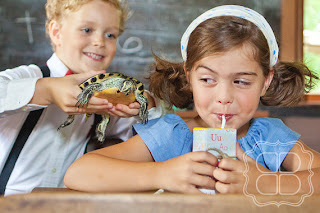 You will love their products. They have birthday, bridal, baby, seasonal, and personalized packages. These ladies do such a great job and make your work load much less!!! I kept Carlee's party fairly simple, although it did involve a lot of prep time. However, the day of her birthday (today) I wasn't totally stressed out and actually able to enjoy the day with her. 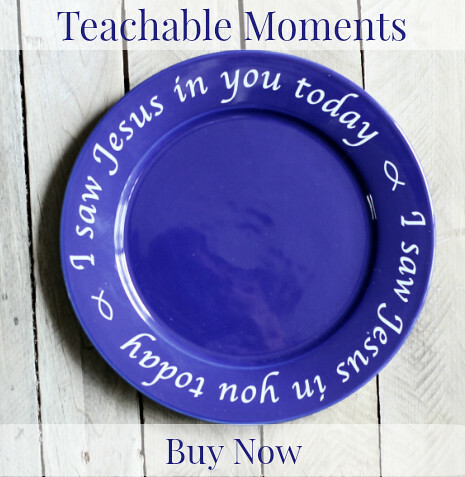 And in honor of Carlee's birthday...I have a giveaway! 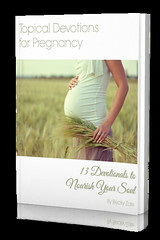 Anders Ruff is offering one free custom invitation for a blessed reader. (anything with an $18 price point or less). 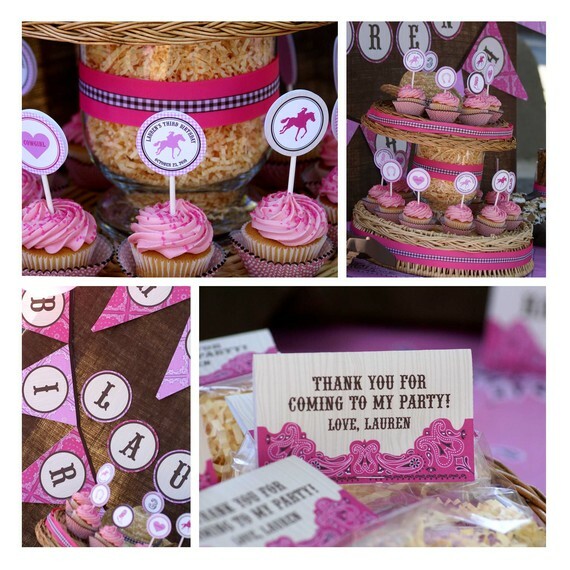 Check out Anders Ruff and tell me which is your favorite invitation package. 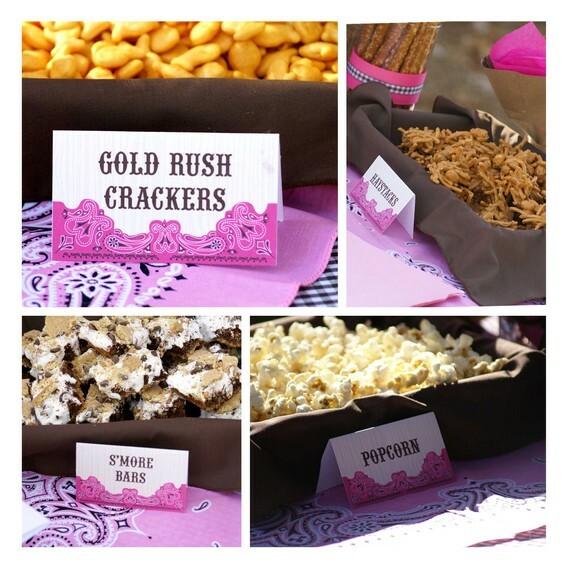 Subscribe to the Anders Ruff Blog (They even have a link for some of their FREE printables! 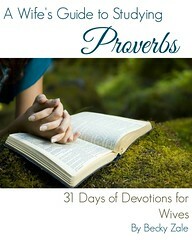 Blog or post on FB about this giveaway before August 12. Please leave your URL. Thanks! Giveaway ends at midnight on Friday, August 12. Super cute party!!! 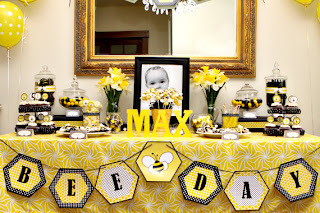 I love this idea- I am going to bookmark this page for Drew's 2nd birthday! Karen, You can say, "Our Little Buckaroo is Turning 2!" :) Have fun! I like the birth announcements :) I can't pick a favorite since baby's gender is a surprise though. I LOVE the Super Hero and Train invitations. 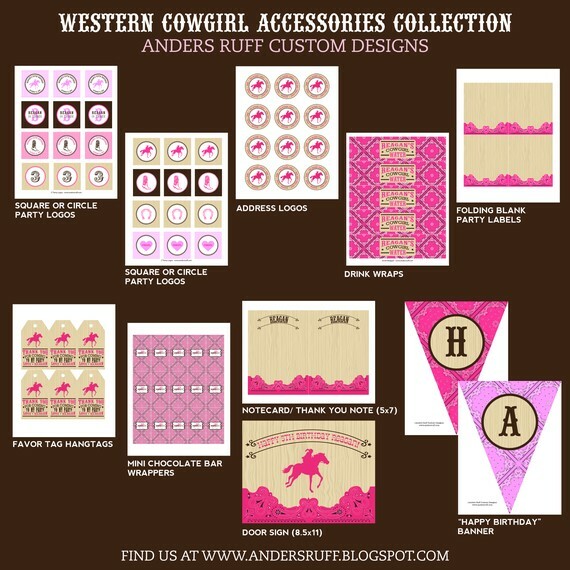 I like Anders Ruff Custom Designs on Facebook. 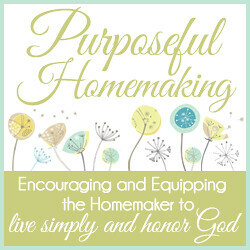 I follow Purposeful Homemaking's Blog and am a subscriber of your newsletter. 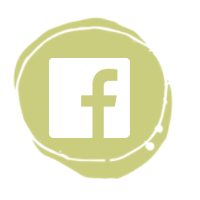 I am a fan of Purposeful Homemaking on Facebook. I am a subscriber/follow Anders Ruff's blog/website. I like Anders Ruff on facebook. 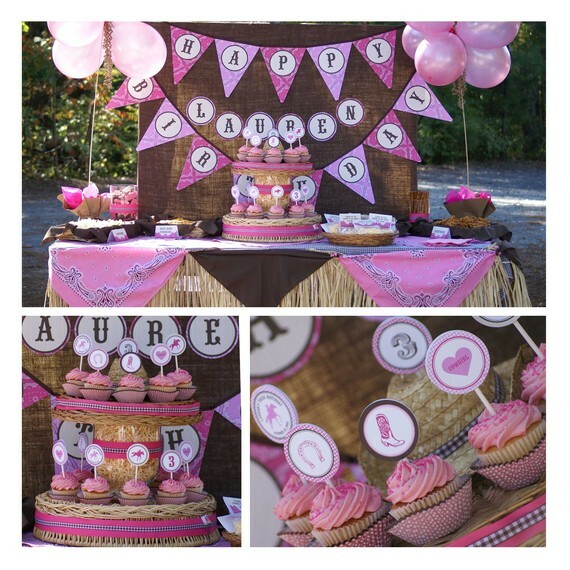 I visited their website and ALL the party packages are cute! Out of the birthdays I could only narrow it down to three: Beeday, Vintage Carnival, and Vintage Superhero. 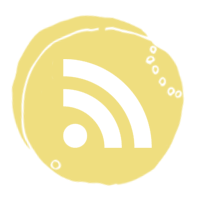 I subscribed to the Anders Ruff blog. Becky, Carlee's party turned out really cute. I'm so glad you had good weather and everyone was healthy!